Asthma has put a third of its sufferers on life support, new figures have revealed. Near fatal episodes have been experienced by 28% of asthma sufferers who had to be put on life support to keep breathing. 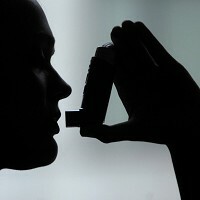 The Novartis Pharmaceuticals survey was taken from 333 sufferers and also revealed that over 50% of them have a constant fear of having an asthma attack, with 40% having to be rushed to hospital at least once a year. Around 33% of surveyed asthmatics say they were admitted to hospital in the last year, so it is important for asthma sufferers to have medical travel insurance in case you need urgent medical attention. Consultant respiratory physician at Bradford Teaching Hospitals Dr Dinesh Saralya said: "People with severe asthma whose asthma is not under control or who are experiencing regular attacks should discuss how to best manage the condition with their doctor. "This is a key goal, since the majority of sufferers feel they can get on with life if their symptoms are controlled adequately. "There are options available that can help them to lead full and happy lives, thereby reducing the economic and personal burden of this condition."